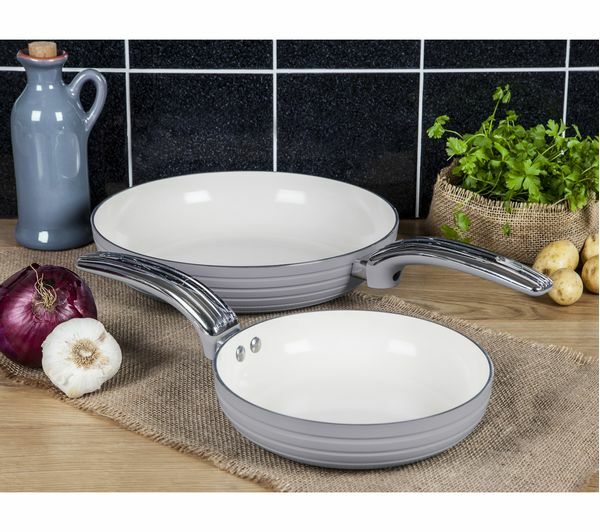 Stir-fry a healthy portion of vegetables and seafood or sear a steak – this Swan SWPS2010PN 2-piece Non-stick Frying Pan Set is designed with a sturdy aluminium exterior and a ceramic interior that allows you to cook with less oil. The pan handles stay cool to the touch, making them safe and easy to move around or pick up while you're cooking or serving. You can use the pans on any type of hob, including induction hobs. 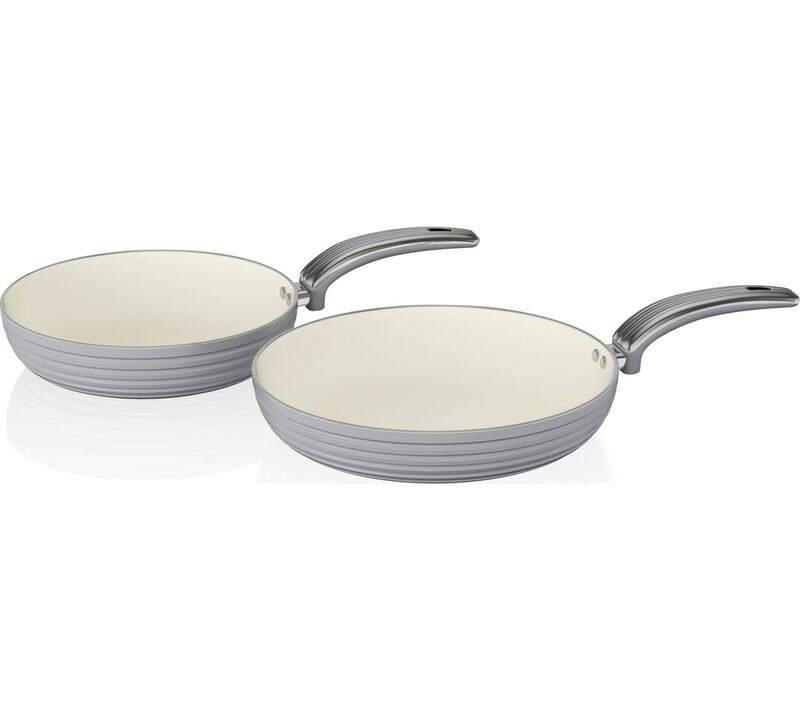 When you're finished cooking, simply hand wash the two pans to keep them looking great and lasting longer. we have a baby pink theme in our kitchen and although on the picture these look baby pink they are more lilac, also we have used them about 8 times and already there is some discolouration. Great pans, no complaints at all and a good price!